Kenmore resident, Tony Williams was our November 2018 Good Neighbor. Tony helped save his neighbor from having her home burglarized by two individuals. Tony saved his neighbor from vandalism and possible loss of property. Thank you for being such a Good Neighbor, Tony! Congratulations to our October Good Neighbor Award recipients, Jeff Rutowski and Jim Trautman. 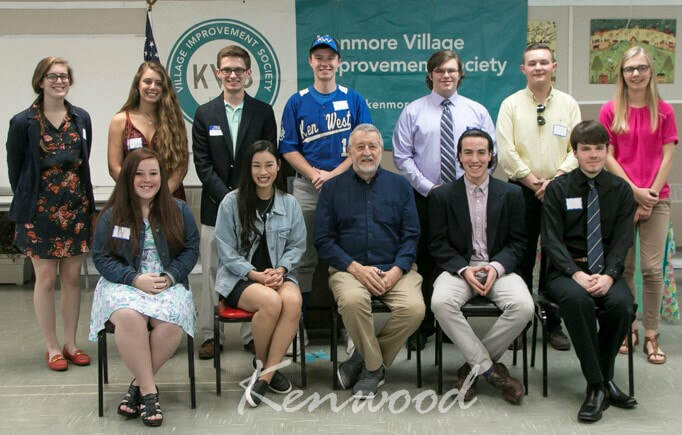 Jeff Rutowski is the owner of Kenmore Prescription Center, located at 2818 Delaware Ave. Jeff has graciously allowed the KVIS to store many of the season decorations we use throughout the year in the Village, at his building. Before we were able to store the decorations there, we had them stuffed in members garages and attics throughout Kenmore. It has been such a blessing to have the decorations centrally located together. Our 2019 Calendar of events and initiatives includes many opportunities for people of all ages to join in helping make our community the very best it can be. If you, a family member or friend, would like to help with planning or participating in an event or initiative, please use the volunteer sign up form on this site, email, call the KVIS, or come to the next meeting help on the 2nd Monday of each month at 7 pm at the Community Center, 135 Wilber Ave. Your participation and help is needed and wanted! Ken-Ton High School Students in their Senior year are invited to apply for a KVIS Scholarship. We have two scholarships, The Christopher and Frederick Sachs Scholarship and the Northtown Subaru Dog Days of Kenmore Scholarship. WE award a varied number of scholarships each year. Learn more about our scholarships and the application process by clicking the tab below. ​When the KVIS first started, we heard from many people who would sigh and say, "It seems like some people just don't know how to be a good neighbor." We realized that there may be some truth to that statement sometimes. So we set about finding out what the most common complaints are between neighbors and what makes for a really great neighbor. We created our Good Neighbor Guide as a way to help us all know what the basic guidelines are for creating a fair and peaceful co-existence. We also created the Good Neighbor Award to acknowledge and honor those whose goodness goes above and beyond. Kenmore is filled with good neighbors, so most of us likely know of someone who is deserving of this Award. Click below for the Good Neighbor Guide brochure and nomination form.